The attempted assassination of Congress members in the middle of a ball park should serve as a stark indicator of the state of a country. In fact, last Wednesday's shooting — which left House Majority Whip Steve Scalise, congressional aids and Capitol law enforcement officers wounded — might offer us more clues than we dare admit about what can happen when violence against elected officials is relativized, satirized and even celebrated. Ronnie Floyd, senior pastor of Pinnacle Cross Church in Rogers, Arkansas. Just think about the kind of message public figures, comedians and entertainers have sent since Donald Trump won the presidency. In March, Snoop Dog released a music video in which he shoots a clown dressed as Donald Trump. Shortly after, comedian Kathy Griffin posed in her now infamous photoshoot where she holds a bloodied mask of the president's face. And, most recently, an inflammatory New York modern production of Shakespeare in the Park depicts Trump as Caesar, stabbed to death on stage. This isn't even counting the derogatory remarks hurled at the first family. Just last week, a behavioral economist from a leading university in the Northeast mocked Trump's youngest son, Barron, for simply wearing a t-shirt. "Barron Trump is wearing a shirt that reads 'The Expert' and I just threw up in my mouth a little," she wrote. In my life, I have never seen a more volatile political environment. Hyperbolized speech, wild accusations and blatant character assassinations have taken stage front and center. We've become more interested in making statements — no matter how scandalous or provocative — and getting likes and retweets than in actually finding a path that brings us together and takes us forward. Though the exact motives behind the Alexandria shooting aren't fully known, it's undeniably clear the gunman, James Hodgkinson, was targeting GOP Congress members. According to Rep. Ron DeSantis, Hodgkinson approached him to inquire whether the morning's baseball practice was Republican or Democratic. Moreover, Hodgkinson had recently signed an online petition to impeach President Trump and his administration "for Misprision of Treason." "Trump is a Traitor. Trump Has Destroyed Our Democracy. It's Time to Destroy Trump & Co.," wrote Hodgkinson on his Facebook page in March when sharing the petition. We obviously cannot blame a summer play or even a comedian's stunt for the actions of a lone gunman. But as a society we must be able to recognize that celebrating an ideology that says violence, especially against our elected officials, affects the way we think. Words have power. As the ancient biblical proverb says, "The tongue has the power of life and death." As Rep. Scalise and those wounded in this grim attack recover, I pray America might also experience a deeper spiritual healing that reconciles hearts back to each other. May Christ's forgiveness and love rise above the noise, cut through the anger and hate and unite us in purpose for a better and stronger America. Dr. Ronnie Floyd is the Senior Pastor of Cross Church and the Immediate Past President of the Southern Baptist Convention. 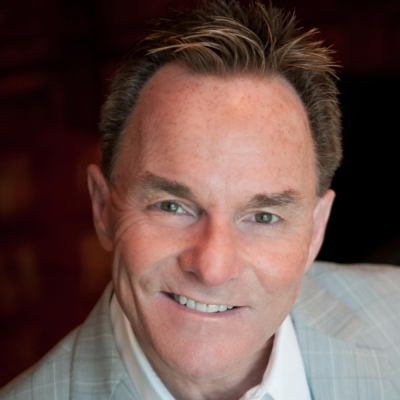 Follow him on Twitter @ronniefloyd. Subscribe to Ronnie Floyd on Life and Leadership Today here. Scalise Shooting: Is Media to Blame? What About Rest of Us?